For any business a social media presence is not only a good idea, but completely necessary. These days a business needs to use a number of social media sites to get its content read and accessed by the largest audience possible. However, the dizzying array of options when it comes to social media websites presents an equally difficult task of maintaining and monitoring those services. In an effort to help your business become more streamlined, and with the desire to save you time, effort, and money, here are some free marketing tools that you can use. Social media marketing is a job in itself and a business would do well to consider how to make that process much simpler. Marketing is a very broad term and it includes plenty of sub-niches, so having a general set of collective tools can be hugely beneficial. Let’s consider some options then and some ways that your business can market itself more effectively. This is a completely free service and a very powerful one. It is however often overlooked by businesses, but those companies would do well to reassess that opinion. There’s even anecdotal evidence to suggest that users of Google’s Analytics service are ranked more highly than businesses that don’t. Regardless however, this service should be installed by businesses in general as it offers lead tracking, real-time analysis, and general information on how well a site is functioning. It does all of these things for free – at least give it a go. There are plenty of options out there in the cyber world when it comes to email subscription services. MailChimp is one such option and it offers a tiered system of payments. However there is the free option that provides support for up to 2,000 subscribers and 12,000 emails per month, and this is an offer that a business should take advantage of. Users of MailChimp can let subscribers know about new posts as soon as they appear through Feedburner. The rest of the content can be shared through MailChimp to subscribers of your website. This service is readily scalable and a business can increase its subscription to the service as and when it needs to. An unlimited package isn’t too expensive either and it’s well within the reach of most small businesses. Automating any part of your business can have a marked time-saving impact and it can save money and effort in terms of your employees. Automating marketing efforts is no exception and LoopFuse provides a tantalizing option. LoopFuse lets a business automate its inbound marketing, email marketing, and it even extends as far as lead capturing and nurturing. The best part about this service is that you can do all of this from a simple dashboard that’s readily understandable. LoopFuse isn’t the cheapest of marketing tools, but there is a free plan for users that want to test out the service. The free plan is offered for 1 user, up to 250 prospects, and 500 emails. It supports websites that have up to 1,500 page views per month. The free option doesn’t include that much support, but it does allow a business to test the service and see if it’s something that would suit its needs. 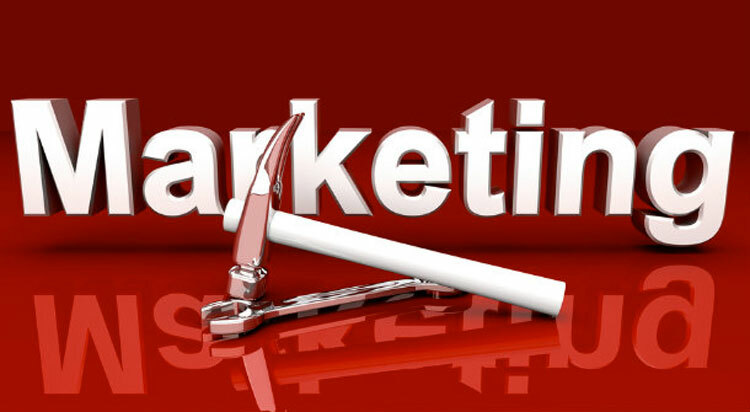 SEO marketing tools are some of the most sought after marketing aides online. SEO tools can help a business track its rankings on search engines and generally across the web. Analytics SEO is a service that has a free plan on offer to interested businesses. The freemium plan offers 1 site with 1 user per account. There is support for 10 keywords, 20 pages per site and 50 backlinks. This isn’t a whole lot of support but it is something that a business can use to test out the service. You can stay on the free option if you like, but the investment in this service (if paid for) will have ample returns. This is more of a tool for businesses just starting out, but it’s worth including in this list due to its free options. Sociopal (aptly titled) is a tool that can help you create social media accounts in no time and it can be utilised to help a business set up its own business website. Really, this tool is targeted at people looking to move their business into the online world – and businesses that have yet to start social media sharing and developing an online presence. This is a tool that many of you have heard of and it’s likely that many of you are using it. However it’s worth including on this list due to its powerful application. It aids a business when it comes to managing multiple social media accounts and has a number of brilliant features. Two of the features that stand out are the ability to track your brand presence across many social media accounts. It also benefits a business in terms of productivity, as it allows the organisation to schedule posts ahead of time. This means that you’ll be able to converse and interact with your audience even when you’re gone, and it means that your social media presence is constantly being updated. The free plan on HootSuite is pretty basic, but it’s more than developed enough to let you get started. It’ll also help you make a decision about whether or not this service is one that you’ll continue using. A business should do all that it can to automate its marketing efforts. Anything that saves time also saves money and effort. Remember though that you’re writing and developing content for people first – don’t alienate them with impersonal content. You’ll still need to be active on social media channels but the above list of tools can help you to be much more specific and tailored in your approach.